Achieve a healthier way of working with a Sit and Stand Monitor Desktop Platform. We all know that sitting for hours is an unhealthy practice, but with long workdays it has become more common. Standing helps strengthen leg muscles, improves your balance and promotes healthy blood flow. Standing even burns more calories than sitting. 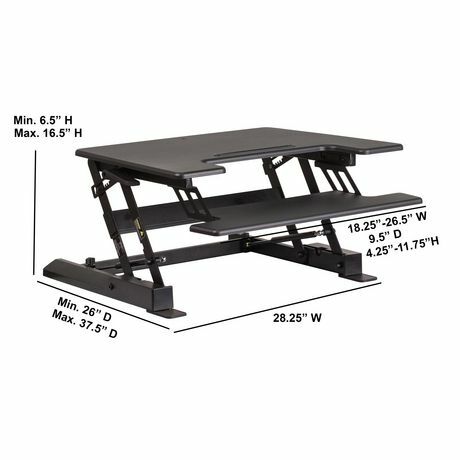 This desk gives you the option to sit down or stand up. 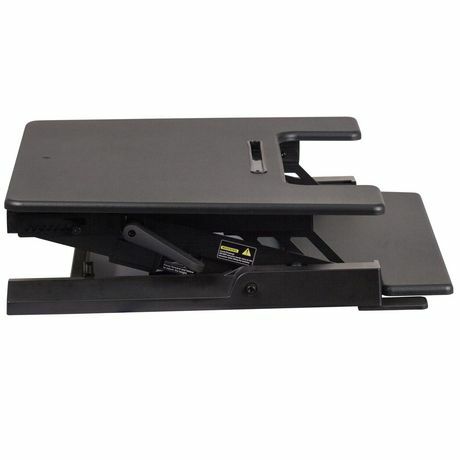 The dual levers raise and decline the tables height to achieve your desired position. The grooved teeth on the sides aid in keeping the top in place. The top features a 9.5" long electronics/writing utensil groove to use your tablet and desktop together or keep your cellphone in view. 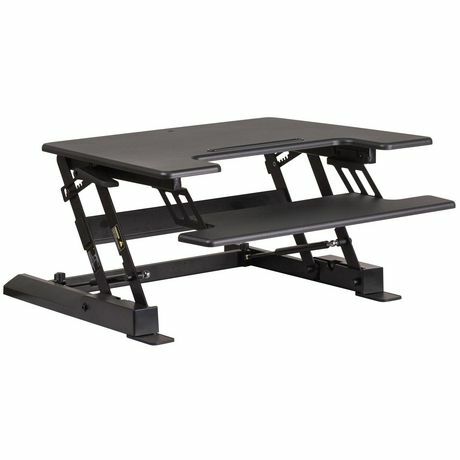 The ergonomic keyboard tray keeps a staggered height between the keyboard and monitor without having to manually adjust. 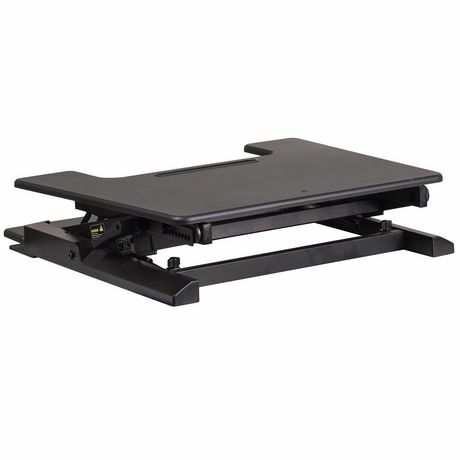 Nonskid rubber pads protect the desk's surface and prevent the unit from sliding.